What is an Ice Maker Machine? 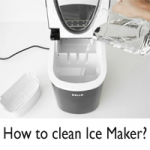 | Why we need an Ice Maker? Home » Ice Maker Guide » Best Ice Maker | What is Ice Maker and why we need it? What is an ice maker? Suppose you are hosting a party and you run out of ice. It can be quite frustrating and stressful to get ice from a local store which is two miles away. It will be worse if your local store does not have sufficient ice to cater to the needs of the whole day. With advancements in technology, the Ice maker is designed to produce ice within a short period of time. But before buying an ice maker it is very important to know why we need an ice maker. An ice maker is an electrical appliance which is used in homes or industries for making ice. It is a consumer device which is found inside a home freezer or it can be a standalone device. It is hassle-free and cuts down the cost of buying ice every time. 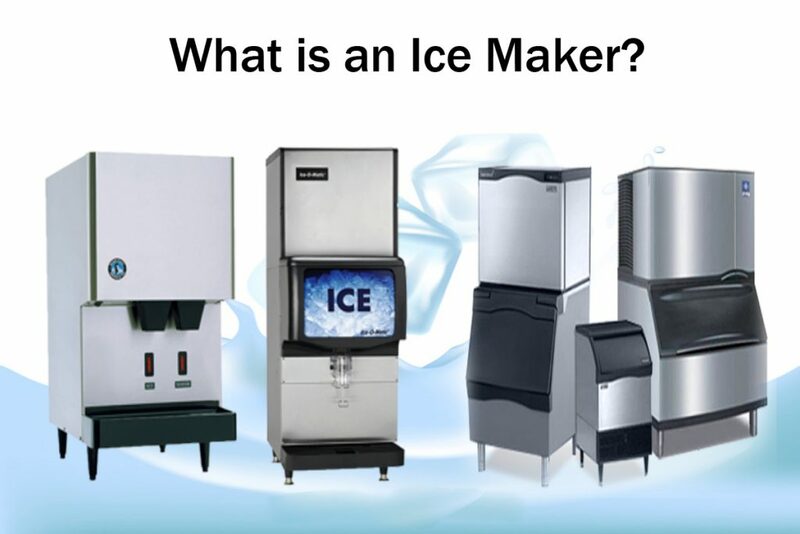 What is an Ice Maker? Condenser: It condenses high-pressure vapor into high-pressure liquid. Evaporator: Here, heat exchange takes place. As a result of which liquid is conducted and ice is created. Compressor: It compresses low-pressure refrigerant vapor to high-pressure vapor. Throttle valve: High-pressure liquid gets drained out through throttle valve to become low-pressure liquid. There are basically two types of ice makers. First is an under counter icemaker that is built into the kitchen cabinetry. It is installed once in a lifetime and on a permanent basis. They are big in size and require a constant supply of water. For this, they need a water line and drain that are fitted with the assistance of a plumber. One of its advantages is its production capacity. It can store and produce a lot of ice at a time. It is a great buying option for restaurants, bars, and business meetings. On the other hand, a portable ice maker is compact in size. It can be carried easily from one point to other. It does not need any separate water line or drains which makes it a very affordable option. Every time the ice is low, we just need to pour in more water for ice. But one drawback of the portable icemaker is that its production capacity is limited. It is sufficient to meet the needs of a family but not for a large party or business. New Air AI-100 R 28: It is a portable ice maker having a sleek body and convenient design. It can produce around 28 to 30 pounds of ice per day and that too within 15 minutes. You just need to connect to a power source and pour in water. The most impressive feature of this device is a handy control panel where we can select our preferred size of ice like small, medium, large. It has an electronic control indicator which senses automatically when the water level goes down. The material employed for its construction is very durable and sturdy which extends it a lifetime. Avalon Bay AB-Ice 26 R: it is also a portable ice maker that can make ice within 6 minutes. It produces about 26 lbs of ice every day. It has an electronic control and LED indicator to customize the ice size. The highlighting feature of this device which makes it the best ice maker is an overflow protection feature that notifies when the ice is ready or more water needs to be added. It has a removable basket and a scoop for filling your glass faster.